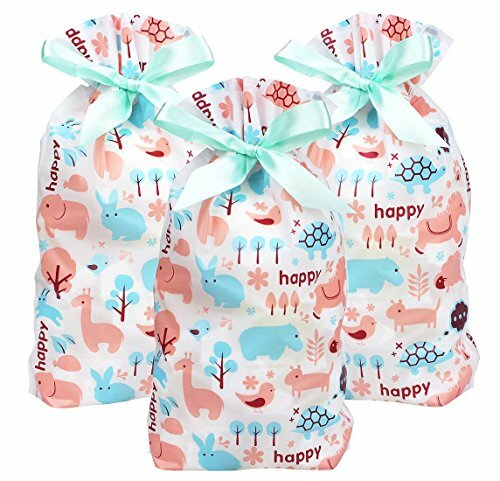 Zealax 15pcs Animal Theme Party Supplies Treat Bags Baby Shower Decorations Gift Wrapping Plastic Goody Package, 6 inches x 9 inches by Zealax at Animal Backgrounds. MPN: TGD008. Hurry! Limited time offer. Offer valid only while supplies last. Perfect Party Favors: Idea for Jungle, Safari , Woodland, Farm or Zoo Animal Themed Party, Baby Shower, Birthday, Housewarming, Bakery Party, Wedding, Bridal Shower, Tea Party, Anniversary etc. Bags not only great for packaging home-made cookies, candies, pastries, doughnut, but also for gifts packing to decorate your party! If you have any questions about this product by Zealax, contact us by completing and submitting the form below. If you are looking for a specif part number, please include it with your message.